Beck’s childhood saw him surrounded by music; from the endlessly playing radio, to his homemade guitar and the countless hours he spent pouring over records and playing music with his friend, Jimmy Page. “I didn’t have to think about taking up guitar, I just wanted to pour my feelings into it” said Jeff. Around the same time his love of classic cars was ignited from watching American B-movies featuring hot rods, and his two great passions in life were born. At that time, visiting America seemed like an impossible dream for the young man from Surrey, but joining the Yardbirds spawned Beck’s first trip Stateside. A pay cheque from the 1968 film, ‘Blow Up’ saw him to splash out on a split window ’68 Corvette - a warm memory that clearly still delights him to this day. Covering the Jeff Beck Group’s seminal 1968 ‘Truth’ album featuring Rod Stewart and Ronnie Wood right through to ‘Jeff Beck’s Guitar Shop’ album (1989) - from experimental rock departures to powerfully dirty, heavy grooves and everything in between, Jeff will always create a singularly unique guitar sound. 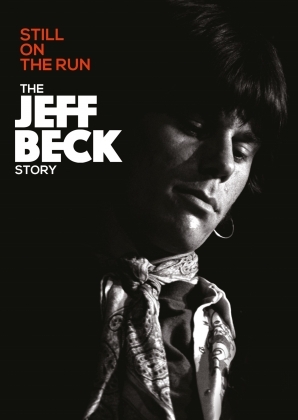 Jeff Beck is a 8 time Grammy Award winner, featured in Rolling Stone’s “100 Greatest Guitarists of All Time" and recipient of the British Academy’s Ivor Norvello Award. He has been inducted into the Rock and Roll Hall of Fame - twice.